New Song by Undeniably Genuine (UNG) ft.Reneesance "The Weekend"
We are all the same when it comes to everybody's favorite part of the week. Monday we are all sad to go back to work. Tuesday through Thursday we do whatever we gotta do to make it to Friday night! Then finally... what we have been waiting on... "The Weekend". Now we can let down our hair, loosen up our ties and turnup!!! International hiphop duo, Undeniably Genuine aka UNG, releases the ultimate celebration anthem titled "The Weekend" featuring Reneesance. 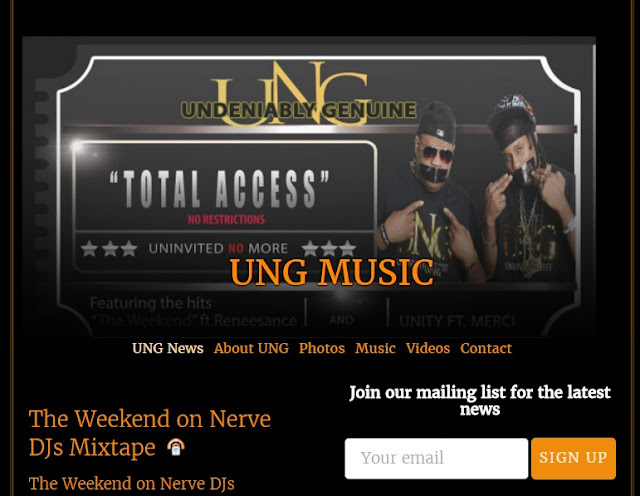 UNG explains what the weekend means to him over an fun uptempo hiphop/pop track. "The Weekend" is feel good, high energy, upbeat record that could jump start any occasion. When you say, "Ready for the weekend"... This is how is should look and sound. This is a standout single from Undeniably Genuine's new album "Total Access". Visit the official site today!